Office workers in Dubai Media City. 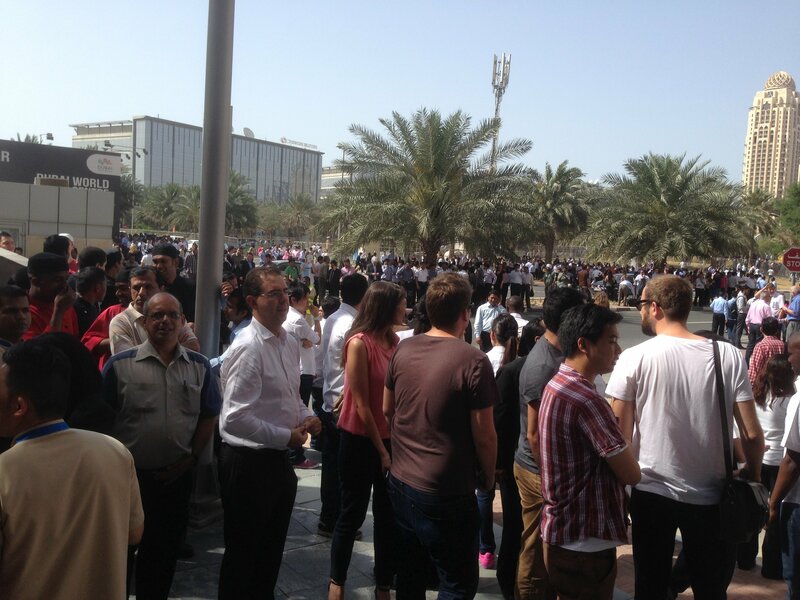 Dubai office workers spilled out into the streets as tall buildings were evacuated immediately after the tremor. Following yesterday’s Iran earthquake aftershocks in Dubai, tall buildings shook and panicked crowds spilled onto the streets as buildings were evacuated. A major 7.8 magnitude earthquake struck Iran on Tuesday, with strong tremors felt in the Gulf states and India. The UAE’s National Center of Meteorology & Seismology (NCMS) said the impact of the quake in the UAE measured 4 on the Richter scale.